The Hailo Multi-Box can be easily installed wherever you want. 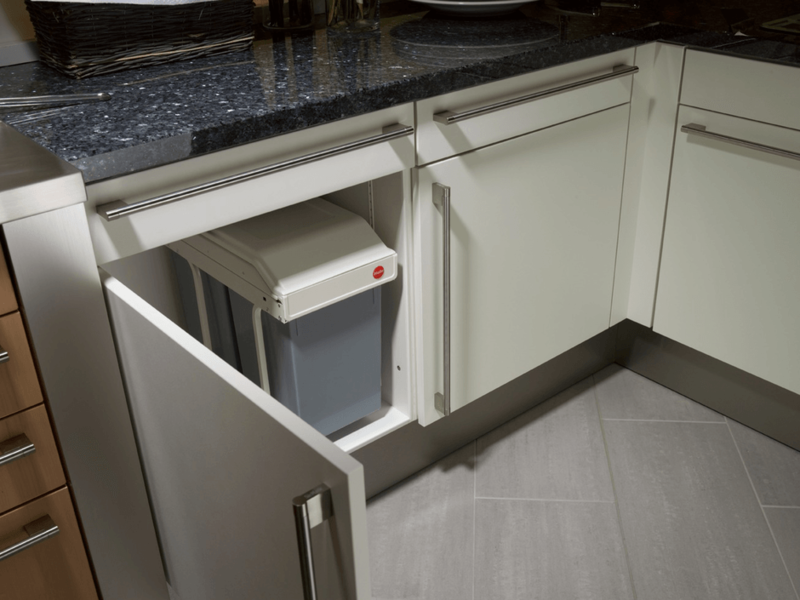 It can be installed on both the left and right side or in the center of the cabinet. 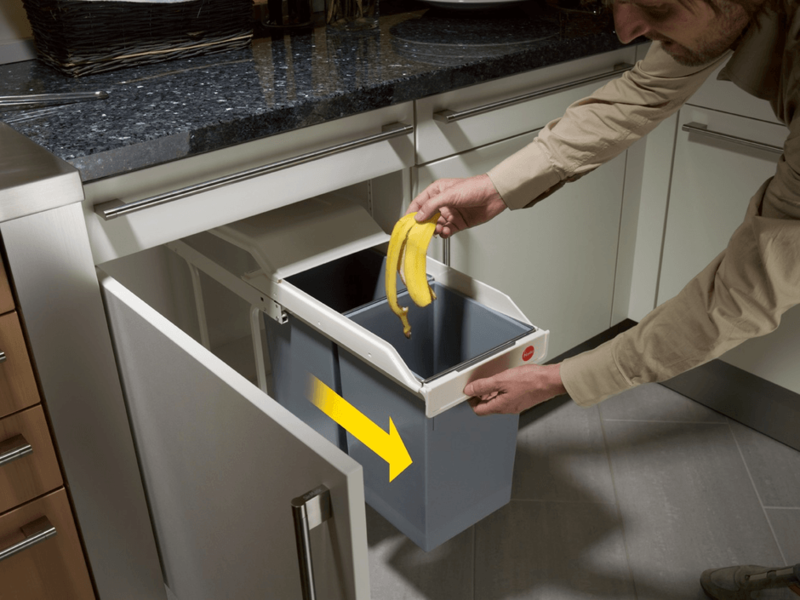 The Hailo Multi-Box 2x15 Bin is a bin you can easily hide in one of your kitchen cabinets. The Multi-Box consists of 2 removable inner compartments, 15 liters each. 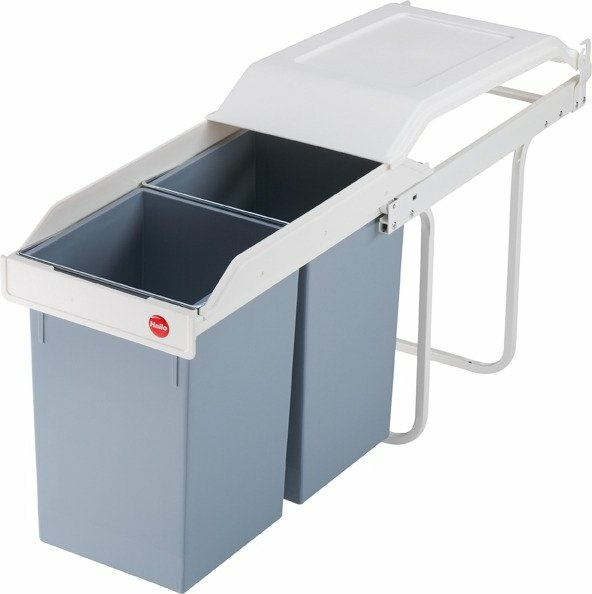 The compartments can be easily removed for cleaning or emptying. 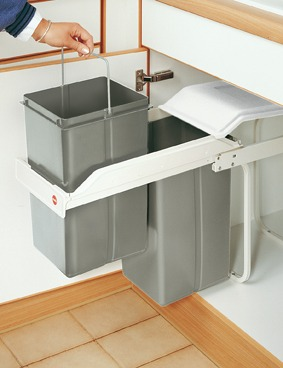 To place the Multi-Box in one of your kitchen cabinets you will need a kitchen cabinet of atleast 30 centimeters wide. 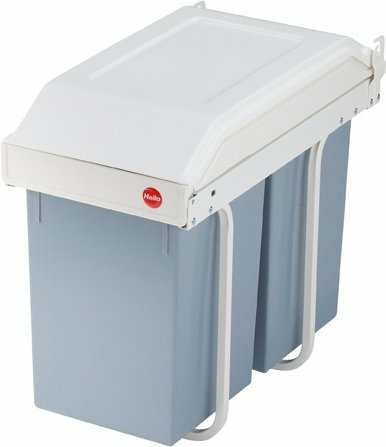 Firstly I have to say I was very impressed with the speed of delivery - I received the bins within 3 days. 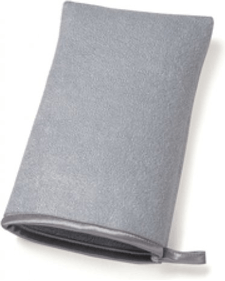 I had seen similar items on other sites that were a lot more expensive but the quality of this one seems pretty good. They were quite easy to install, although having screwed the frame to the base of the cupboard we had to take it out again as we couldn't assemble the frame in situ. 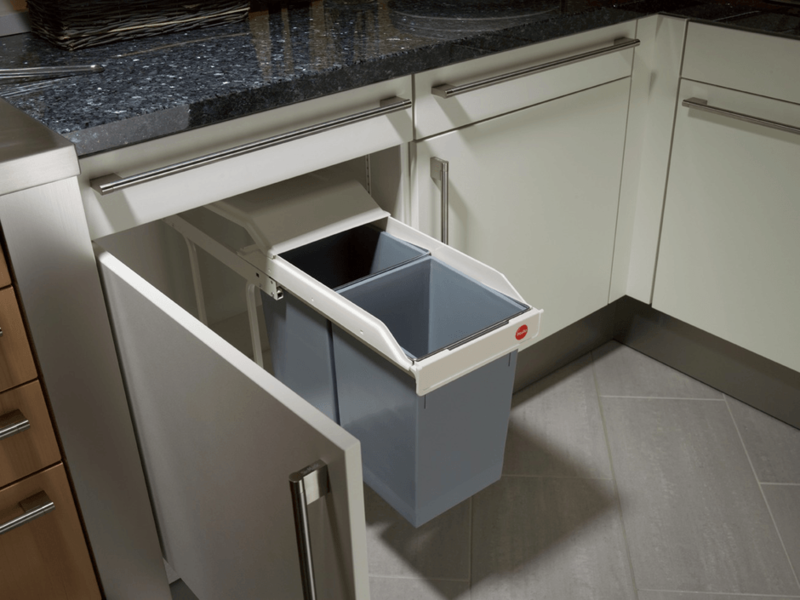 The bins are easy to use and are a good way to hide rubbish bins from the kitchen floor. I'm happy with this product!